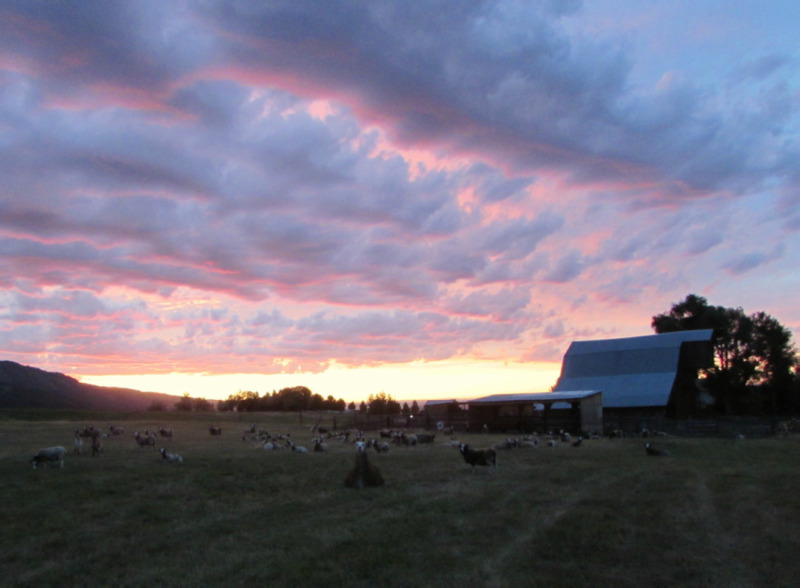 Ruby Peak Farms is located in the beautiful Lostine Valley of the Wallowa Mountains in North Eastern Oregon. 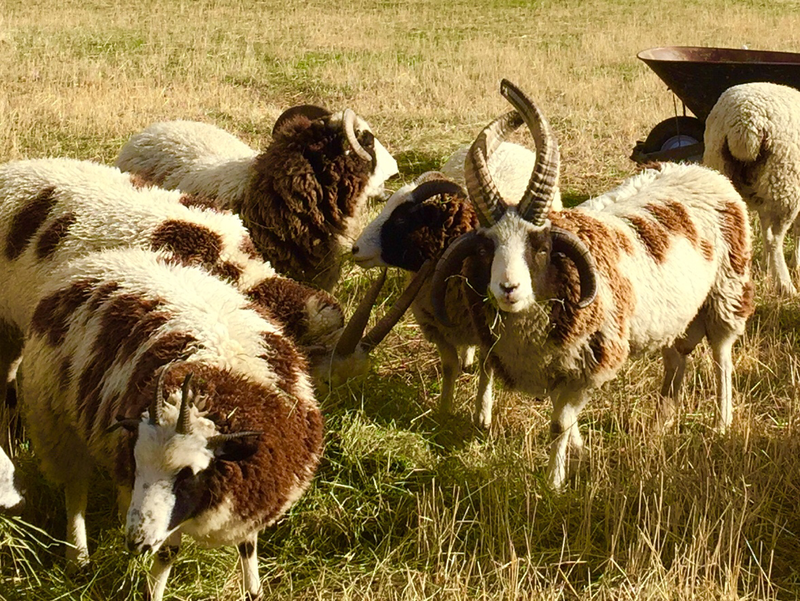 We have been raising Registered Jacob sheep since 1999, and constantly improving our stock for better fleeces, horns and coloration. 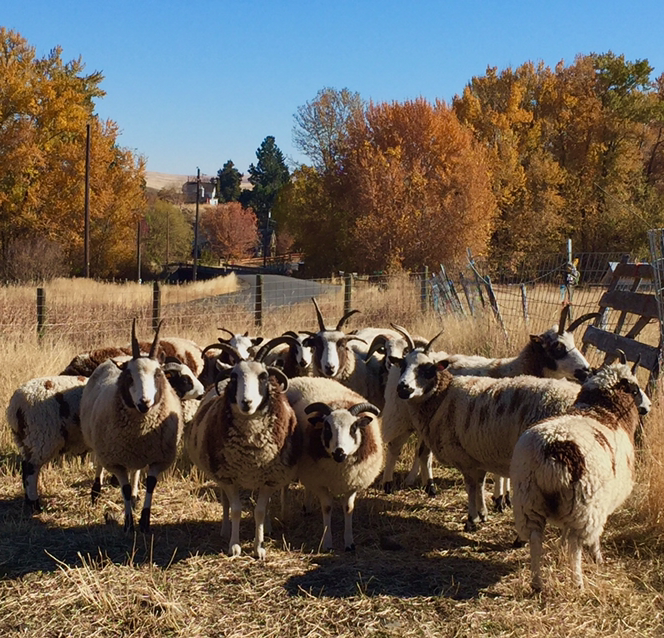 Our sheep are registered with the Jacob Sheep Breeders Association: http://www.jsba.org. 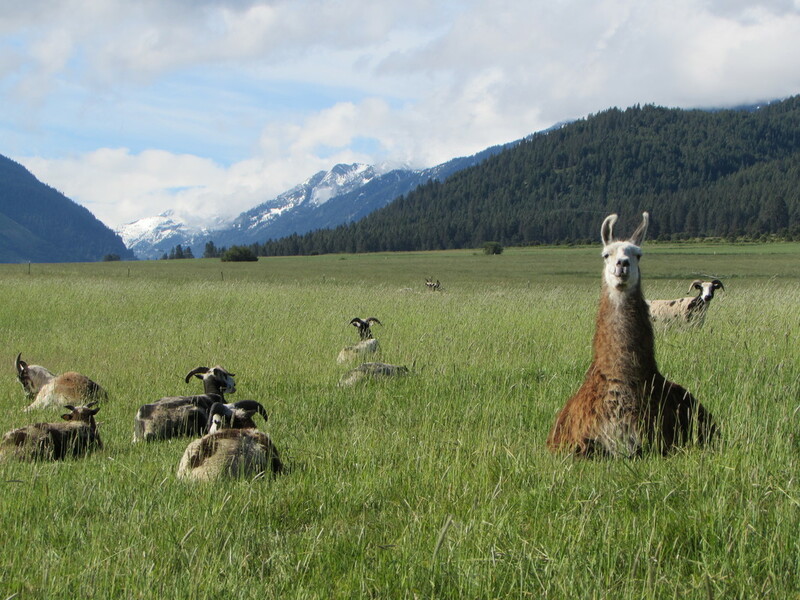 Our ewe flock is about 20 ewes strong, and all are good mothers and excellent producers. Fleeces produced by our flock are prized by hand spinners for their soft handle, and crimpy colorful wool. Our sheep are raised on pastures that have been chemical free since 1999. They eat only fresh grass and hay produced here on the farm. Since Jacobs are a primitive breed, no supplemental grains are needed. Our meat sheep are never given hormones or antibiotics, and our breeding sheep receive antibiotics only when critical. bide a wee Valiant with his ewes in October of 2018. Lambs should begin to arrive in March of 2019.